Product Dimension: (H) 8.5" x (L) 4.5" x (W) 2"
Bring spirituality and calmness to your home by bringing Tirupati Balaji Moorti. 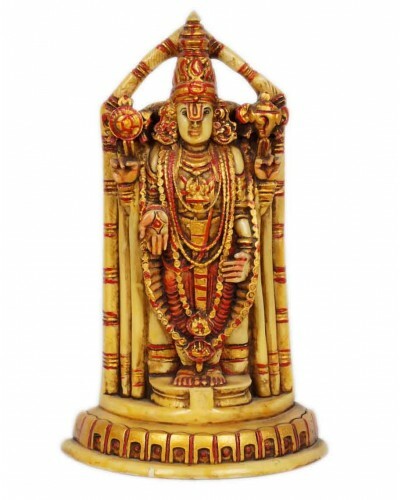 Made from brass, this showpiece is sturdy and lasts long. It can be gifted to your well wishers as it gives a positive energy and keeps away sorrow and pain and helps everyone to revive themself.